Dry eye syndrome is a common disorder of the normal tear film that is a result of a tear deficiency, excessive tear evaporation or an abnormality in the production of the mucous or lipids in the tear film. It can cause damage to the exposed surface of the eye (cornea) from mild, to severe and permanent. Symptoms of dry eye include burning, stinging, itching, foreign body sensation (a feeling like something is stuck under the lid), excessive tearing and light sensitivity. Dry eye syndrome is a chronic condition that usually cannot be cured; however, the symptoms and potential damage to the ocular surface can be treated. Treatments include artificial tear lubricating drops, medication to increase natural tear production, treatment of eyelid disease or closing the tear drainage ducts with temporary or permanent plugs. Dry eye syndrome is a potentially sight-threatening condition. 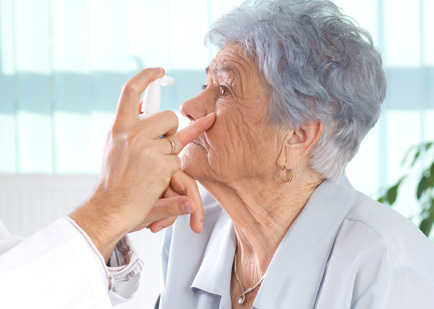 At Eye Consultants of Syracuse, our doctors are experienced in evaluating and treating all types of dry eye problems. Click here for more information on dry eye syndrome.